I made bg two times untill I got the necessary result. I don't like it ... I really love it! The colors are beautiful, and the background is very well done. Also, your vector is perfect. Thanks for your sharing! Really Beautiful Wallpaper! I like the tone color. Waw, wonderful, the effect of light is really great =) ! 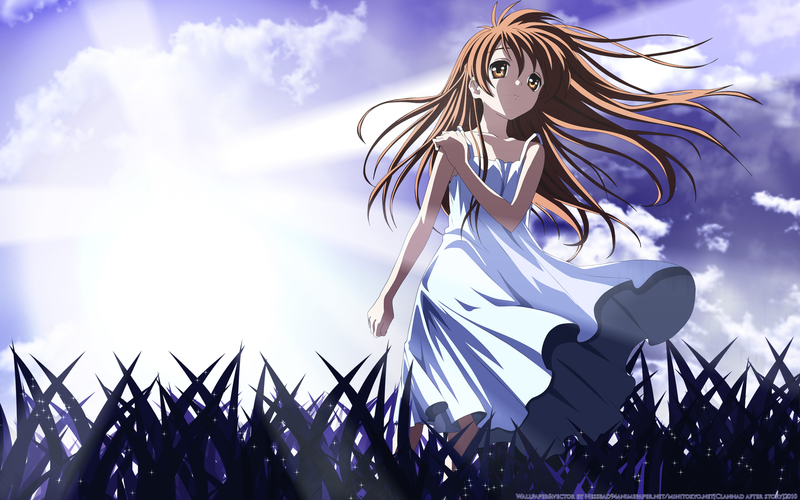 Que bien se vee la imagen, la calidad es muy buena y esta de Ushio le queda bien ese vestido, arriba Clannad. Great work on the Wallpaper!